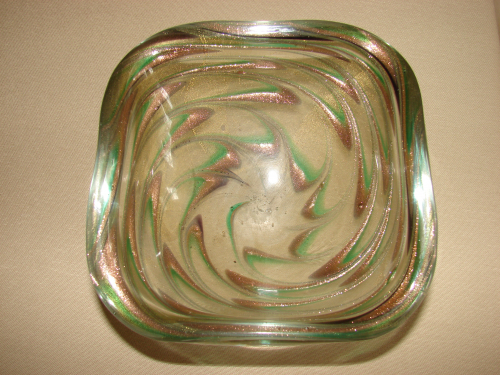 A simply stunning zigzag patterned Murano bowl believed to be designed by Venini circa 1955. A clear glass body shot through with gold foil and then green glass and copper dust. The end result is a shimmering effect. An eye-catching and rare piece of Murano glass.